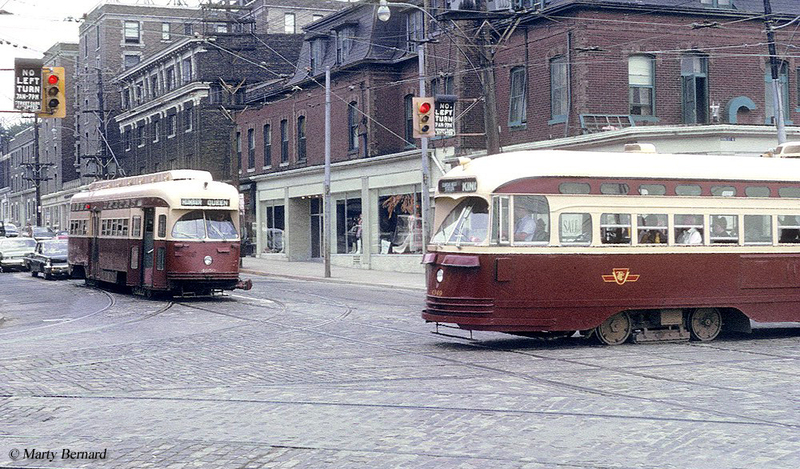 The Presidents Conference Committee streetcars, widely regarded by their shortened name as PCCs, proved to be one of the most successful streetcars ever developed. This was especially true because of the time period in which it was built, the 1930s when most of industry was either in serious financial trouble or already out of business. As you might expect, the car was created out of need to stave off increasing competition from other modes of transportation, notably automobiles. 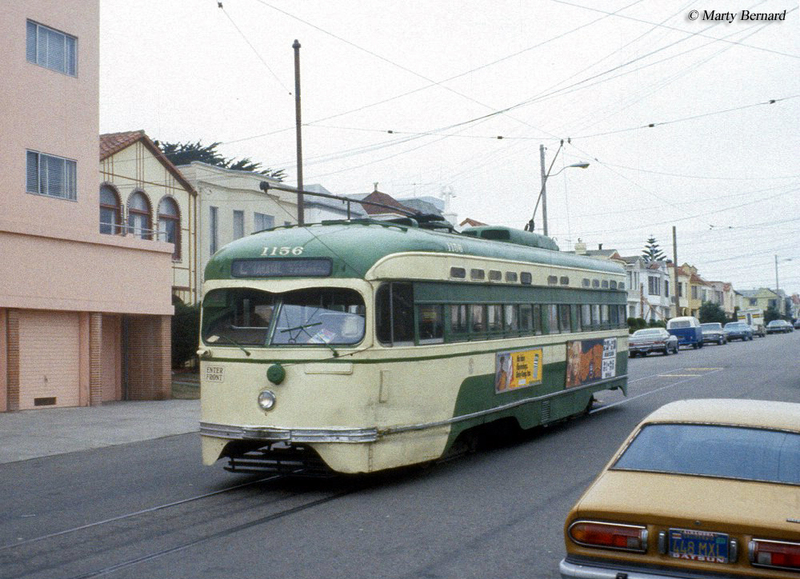 Interestingly most buyers of PCC cars were street railways, not true interurban lines many of which by the 1930s could either not afford new equipment or were attempting to grow a more substantial freight business to simply remain solvent. Despite the financial crises of both industries, thousands of PCCs were ultimately built due to their ruggedness, reliability, excellent ride, and relatively low cost. Most remained in use on transit systems in the United States well into the 1980s while many remain in service around the world even today. The idea behind what became the PCCs dates back to the 1920s when the street railway industry began to look for ways to not only retain its remaining passenger traffic but to also someone get folks to return to the rails. One way they did this was by forming a group, known as the Electric Railway Presidents Conference Committee, that brought together numerous managers and presidents of streetcar systems and some interurbans with significant street operations to come up with a plant to combat the problem. For both industries this was almost a universal first, as neither had truly worked at coming up with standardization. Had they done so in earlier years it would certainly have helped to improve operations and overall efficiencies. The committee, which began in 1929, discussed many ways to help improve operations and their best idea was certainly the standardized car design that became known as Presidents Conference Committee streetcars or PCCs for short. This car somewhat resembled a transit highway bus both inside and out with subtle streamlining and an interior that was very plain (similar to what you might find in either the bus or subway). The earliest PCCs that debuted in New York, Boston, and Pittsburgh in 1936 were a bit shorter in length while later models a bit longer. In any event, all PCCs ranged in length from 46 to 50 feet and typically varied depending on the size requirements specified by the owner. Perhaps the car's greatest feature was simply its ride quality, stressed to be quite comfortable so as to improve passenger comfort. One way in which this was accomplished was by using rubber around nearly all of the sills of the carbody to reduce noise as much as possible, including the wheel tires. Additionally, engineers looked to reduce the noise of the electric gearing, a constant source of irritation in other types of cars where rattling and squealing regularly occurred while in operation. To accomplish this a gear type known as a hypoid was placed at a 90-degree angle to the axle instead of directly on the axle. Following this the trucks of the car also featured liberal amounts of rubber to further reduce any additional noise. 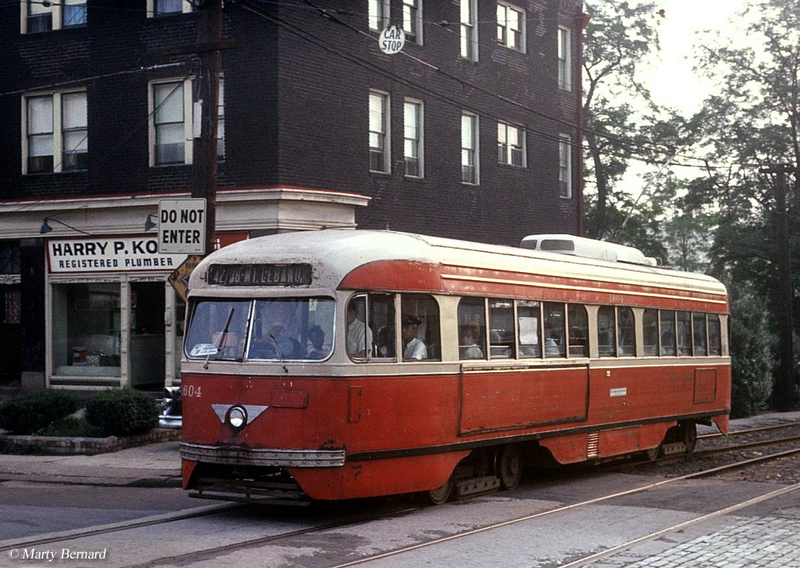 It took a number of years to complete the design and layout of the PCCs with the Pittsburgh Railways the first official line to use the car in June, 1936. While PCCs could be custom-ordered to whatever shape or size requested they generally were available in two different types: the air-electric design, which was also the earliest built, featured compressed to air to engage the brakes, doors, and all other components which required some type of power to operate; and the all-electric models that did away with the compressed air with everything being powered electrically. These cars were built almost exclusively after World War II and also featured better streamlining, and larger, wider windows. Also of note was the fact that PCCs came equipped with dynamic braking and offered fast acceleration and an ability to stop rather quickly. Depending on the gauge of the street railways, PCCs were built to various wide and narrow gauges as well as standard gauge. As mentioned above, the interior of PCCs was not fancy and was comparable to any type of mass transit in use today. However, with extreme importance placed on comfort most passengers loved the cars finding the ride smooth with plenty of room to stretch out when sitting. Additionally, many found the cars easy to board and exit. 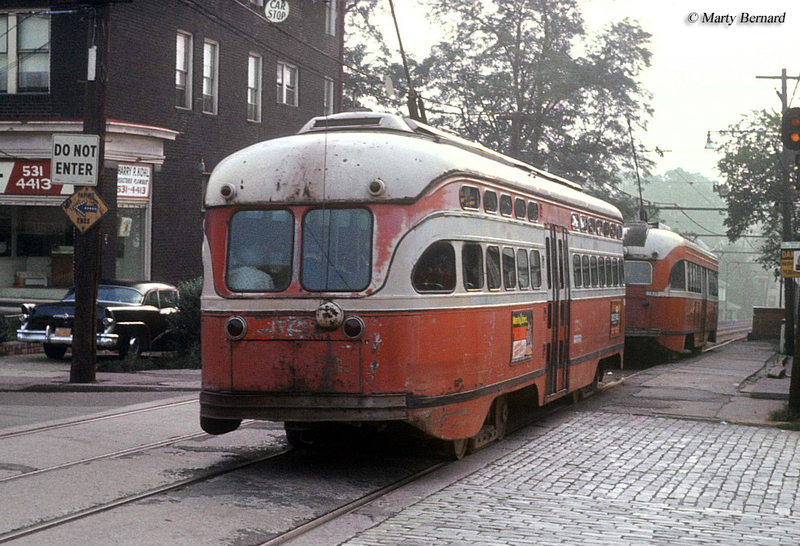 Of the nearly 5,000 PCC streetcars built nearly all of them were produced by either the St. Louis Car Company or Pullman-Standard, which purchased the license from the Transit Research Corporation, a company that actually held the patents to the cars. Some of the interurban lines to buy PCCs included the Illinois Terminal and Pacific Electric Railway. The cars offered such great reliability and ease of maintenance that numerous examples remained in regular use through the 1970s and 1980s before finally being retired. 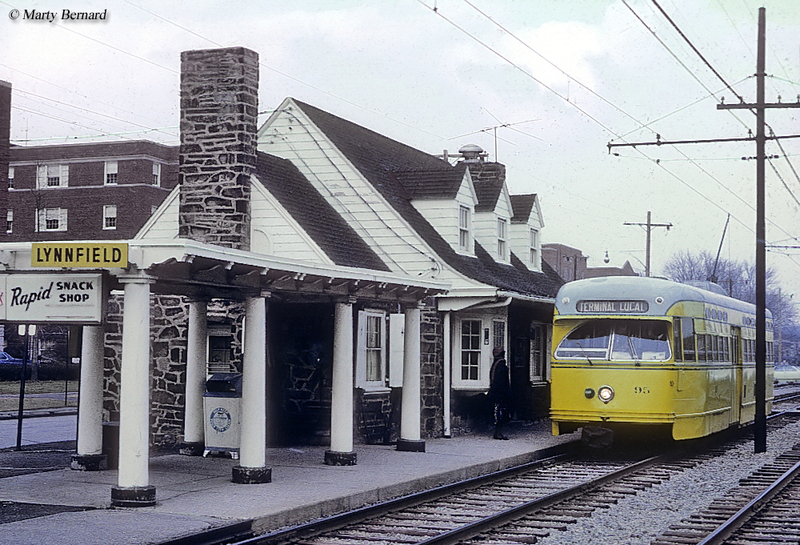 Amazingly, some PCCs remained in use with the Southeastern Pennsylvania Transportation Authority (SEPTA) until the early 1990s! Today, you can still find several in use at museums. For more information about the Presidents Conference Committee streetcars please click here.